Natural cosmetics represents a consistently growing field. 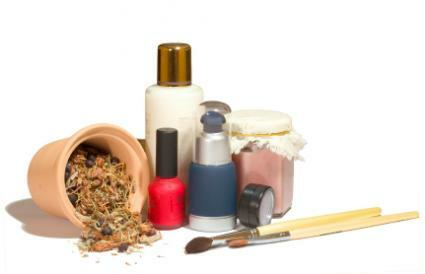 The natural cosmetics industry has more than doubled in the past decade. Many large companies have been affected by the influence of this movement and the dedicated efforts of the Campaign for Safe Cosmetics. The cosmetic industry is slowly evolving towards a more natural approach to beauty. However, what exactly does "natural" mean in relation to beauty products, and how can consumers be sure that the natural products they purchase are indeed safer? The difficulty with terms such as "naturally derived" or "all natural" is that the FDA currently has no means to regulate such labeling. Many products labeled "natural" may contain harmful chemicals that have been isolated from natural plant ingredients. In such cases the term "naturally derived" may give consumers the illusion that they are purchasing a safer product when the reality presents an entirely different picture. The surfactant sodium lauryl sulfate has long been implicated in conditions such as skin irritation and other health hazards, but most consumers don't realize that this potentially detrimental chemical can easily fall under the "all natural" label. Sodium lauryl sulfate is derived from coconuts and has sometimes been slid into natural cosmetic cleansers and household products under the guise of "natural plant-derived surfactants". Natural cosmetic lines are emerging with great élan and are fueling a lot of consumer interest. In 2007, CNN reported that the Campaign for Safe Cosmetics had found lead in the lipsticks of several prominent cosmetic brands. These brands included big names such as Christian Dior and Cover Girl. Naturally, consumers were shocked to learn that toxic ingredients existed in their trusted makeup products. Such occurrences have only propelled consumer demands for naturally oriented products. It should be noted that there is difference between natural and organic makeup products. Organic cosmetics have taken a large step beyond natural products by using most or all USDA certified organic ingredients. Cosmetic companies like Tarte have worked diligently to reformulate their beauty lines to meet natural standards. This includes the revamping of their best-selling and award winning Cheek Stain formula that, even as a newly natural product, still meets consumer expectations. Natural products are free from many synthetic dyes, surfactants, and preservatives. This means that many formulas may not last as long as their chemical counterparts. Some makeup items will simply suffer a turn of color, but skin care formulas may also turn and separate. Be sure to check packaging labels for any expiration dates. In most cases these natural changes will not render the product dangerous, but only less effective over time. Cosmetics that include natural makeup lines also do not guarantee a natural look. Heavy-handed users can achieve a garish and cakey look every bit as easily as with traditional makeup brands. Applying your makeup carefully in natural light may do more for your appearance than the specifications of your cosmetic formulas. Shampoo and soap formulas from brands such as Carol's Daughter, Pacfica, Dr. Hauschka, and Korres do not employ the same foaming agents as mainstream products. This means that there may be special instructions on the packaging regarding how to lather and rinse. In general, natural soap products do not produce as much lather as their synthetic counterparts and this may make a tremendous difference in redefining how the cleaning process "feels". At first glance, most natural cosmetics will appear similar to the traditional variety. However, persons who have used natural cosmetics and hair care items may notice a difference in the way these products lather, apply, and even exude fragrance. If you are curious regarding how certain natural products compare to their counterparts, and are hesitant to buy, consulting cosmetic forums such as Makeup Alley can help to educate you regarding the details of such purchases. Reading peer reviews can sometimes be more helpful than consulting the manufacturer or a salesclerk. After all, there is a difference between how a product should function, and how it actually does function for everyday users. Your peers are more likely to be ruthlessly honest and accurate when describing their experiences with natural cosmetic options.